High streets shops are the heartbeat of every community and Portugal is no exception. For those looking for personalized attention, care and professional advising, Portugal’s high street shops are definitely the top choice. Portugal’s high street shops delight and enchant customers, providing an experience that outlet and shopping centers which sell a multitude of products, cannot. Offering unique items that cannot be found anywhere else in the world and clustered in the historic center of Portugal’s main cities, Portuguese high street shops are perfect for strolling – from fashion to dining, there really is something for everyone. These glamorous main boulevards, with side streets, are awash in souvenir stands, art galleries, trendy shops, fashion designers, traditional kiosks, noble clothing boutiques and chic jewelry stores. The most popular high street shops in Portugal are: Av. Liberdade (the heart of luxury), Baixa Chiado, and Princípe Real. Don’t miss out on the opportunity to truly experience these shopping havens! Shopping in Portugal is internationally renowned for being an unforgettable experience. Here are some of the locations where shop lovers can see their dreams coming true. Conveniently located, Portuguese shopping centers are known for their incredibly stylish designs and for having all the necessary amenities and luxuries. All shopping centers in Portugal have great opening and closing times, and are open on Sundays all year long. The three main shopping centers in Portugal are Colombo Shopping center and El Corte Inglés in Lisbon and Fórum Algarve Shopping mall in Faro, Algarve. You should definitely visit them when you get the chance. With all the trendiest brands and the best new collections, Shopping centers have become the dominant force in retailing and have significantly contributed to commercial growth in Portuguese cities. However, outlets have also become very popular because they enable you to buy more products for fewer amounts of cash. With a great range of designer brands such as Carolina Herrera or Hugo Boss, outlets offer a low cost shopping alternative for clothing and household items. 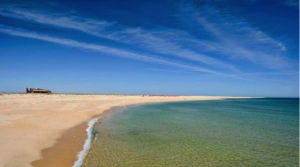 Just a couple of minutes drive away from the city centers; the most renowned outlets in Portugal are Freeport, Strada and Vila do Conde Style outlet up north. All shopping outlets are frequented by locals and tourists and become quite busy during weekends and holidays. Highly recommended for all shopping lovers and for those who travel with a budget. Even though most cities in Portugal have at least one peripheral hypermarket, outlet or out-of-town shopping center, people still love to do their shopping in the store around the corner, where they know the owners. The Portuguese farmers’ markets are a huge success. The Campo de Ourique market in Lisbon, the Bolhão market in Oporto and the Portimão market in the Algarve, are absolutely sensational and have a fascination of their own. These farmers’ markets are authentic showcases of flavour reflecting the terroir, the savour and tones of Portugal. Known for having the finest fruits and vegetables, they are the best for experiencing the local cuisine. Portuguese markets sell everything from hand-made arts and craft to natural and organic produce and offer you not only a great opportunity to buy some typical gifts or hand-picked fresh food, but especially the experience of nice traditions that are still alive. Stepping into some of these cute little shops is like stepping back in time. Generally located in the historic centers, these shops are very special mostly because they have retained the essence of traditional trading. Here are some of the shops you should check out: Conserveira de Lisboa, Ginjinha, Luvaria Ulisses, Ouriversaria Aliança, a Carioca, etc. Don’t miss out on the opportunity to have a relaxing walk through the small alleys, while you enjoy the traditional buildings and discover each city’s history and culture.